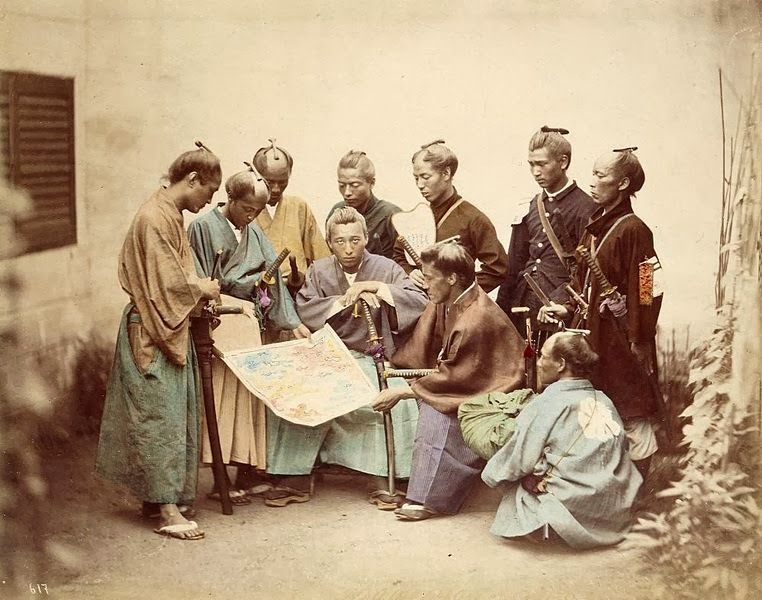 The code of honour and morals evolved by the samurai. Samurai terrify me. For some it's clowns, for some it's dolls, for other it's Justin Bieber - for me it's the samurai. Everything about them is terrifying - their inhuman, grotesque armour, the knowledge that they're like Terminators and they "absolutely will not stop, ever, until you are dead," and should you better one, on the slimmest of chances that you get the upper hand, this is a man that will sit down, write a poem, and then disembowel himself. My Mum always said: "Never get into a scrap with a man willing to disembowel himself if he loses, especially one with the presence of mind to sit down and write a poem about it first." And you know what? That's good advice. Also of great importance was absolute loyalty to his lord (so don't cross him either), the development of wisdom, care for the aged and those of lower classes, and being a good father (which is nice). Oh, and apparently they also make a damn good cup of tea. Despite these noble virtues, however, samurai, their armour and their unrelenting martial ethos still frighten me. I mean, they write poems before cutting out their own bowels. Write poems! Not even the Terminator did that. Do you live by bushido? 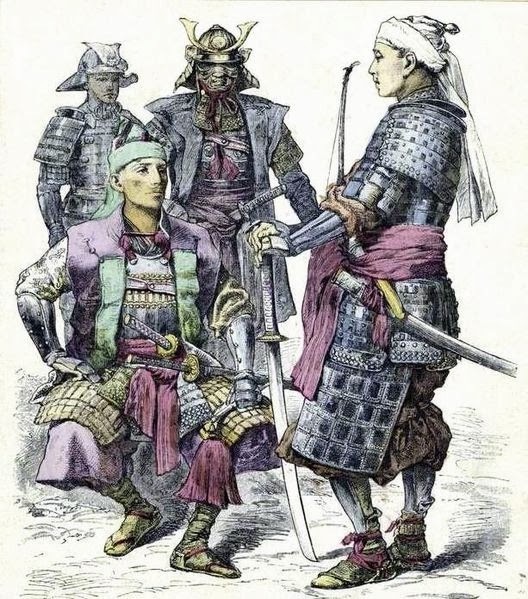 Do please leave your most feudal comments below. The modern-day window cleaner is a Samurai as far as I can see. Two swords, one short, one long, hang from a holster at his side, but he can draw them in an instant. His movements are precise and careful, a combination of skill, training and spirit. Within moments it is all over, and he grimly wipes the suds from the rubber blades with a corner of his wide, flowing shawl thingy, returning them to their sheath with care. He is guided by honour and dignity, and is subject to the sun, the wind and the clouds. He clings to time-respected traditions with ardent devotion, aware that these are challenged and at risk from new ways and attitudes. He is harmless and deadly at the same time. None of his customers and none of the passers-by on street seem to recognise him as a trained warrior, so it remains his quietly delightful secret. That's powerful stuff - I suddenly have the urge to disembowel myself. .....as did, and do, Samurai, and window cleaners, at the onset of Winter. 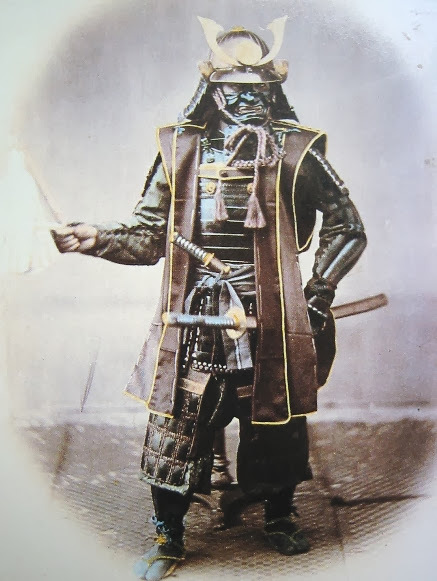 Little known fact: Before filming Starwars, Darth Vader worked in Japan protecting Lords, making damn good cups of tea, practising poetry, generally being benevolent, and occasionally popping up in pictures of Samurai.